After a solid show this past weekend at Peterborough Speedway, the OSCAAR Pro Midgets will be back in action on Saturday at Grand Bend Speedway for their seventh feature of 2017. Everybody will be gunning for Jordan Hanna this weekend certainly, as he looks to score his sixth feature victory of 2017 after sweeping the first six races prior to Daniel Hawn’s victory last Saturday. Cassidy March hopes his speed shines through this weekend as he enters this weekend on the heels of three straight top-five finishes. He was strong last year at Grand Bend, picking up a runner-up finish. Inaugural OSCAAR Pro Midget Series Champion Ted Greenwood will run his fifth feature of the year this weekend. He has momentum on his side following a third-place finish at Sauble despite issues at Peterborough, and won last year at Grand Bend. Another driver looking for a solid run will be James Stanley, who picked up a podium finish at Peterborough in the debut of his new ride. Perhaps this weekend everything comes together for a win. Rob Summers will be looking for another podium after scoring a third-place finish at Peterborough. His daughter Katherine will also be one to watch, as she looks to improve upon a pair of eighths to start the season. Though if Kelly is instead in attendance, it could be interesting based on her fifth in her lone start thus far this year. Brent Kemps will be looking for his first top-five of 2017 following a ninth, seventh and a sixth in his first three starts. Gary Triska will be looking for another top-10 this weekend after struggling the past two events, despite starting off 2017 with a pair of top-10’s. Daniel Hawn will make his seventh series start this weekend, hoping to score his second straight victory following a win and four runner-ups this season. Brody Rickwood could break through for his first win as a rookie as he was solid last weekend at Peterborough, posting a third and a fifth. Steve Belfry will be looking for his first top-five following a career-best sixth so far. JT Ackworth scored himself a top-10 at Sauble with a 10th, and will hope to keep improving this weekend. Mckenzie Hamilton is unable to attend, so James Marche will be driving her ride. Marche is someone to watch as he made picked up the win at Frostoberfest last year. Shawn Paul was solid in his 2017 debut, posting a seventh-place finish as he could possibly make his second start on a Saturday. 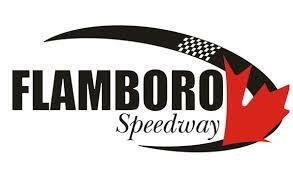 Craig Pitchell has impressed since making his debut at Flamboro, posting a pair of top-fives in three features thus far this year. Shawn Stanley will hope to build on a pair of top-10’s that he experienced in his 2017 Pro Midget debut at Peterborough. Daryl Anthony is in the same boat, following a 12th and a ninth at the patch. You can also add Sam Gee and Tyler Cullen to the list of drivers expected to be in attendance, who will make their series debuts. Details on the upcoming night of action, including the schedule, can be found at http://www.jcarracing.ca/.